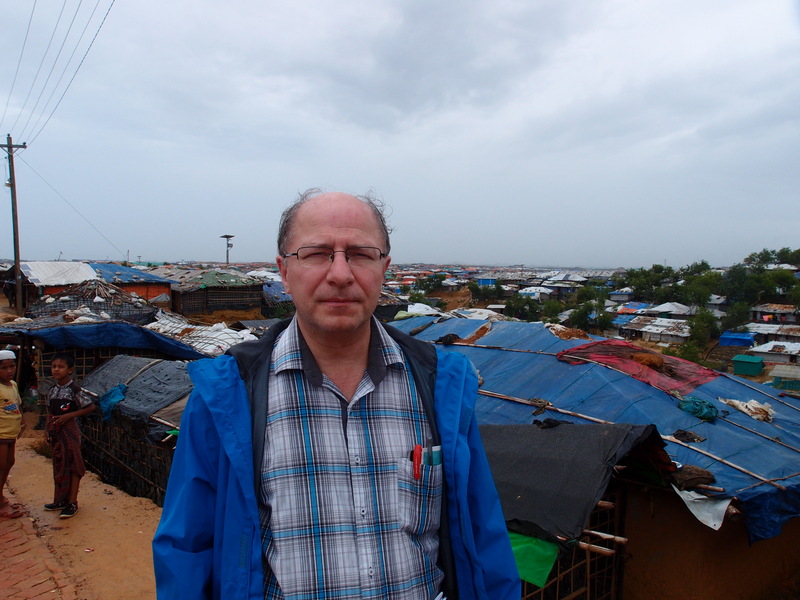 From July 7 to 1, 2018, HRREC Director John Packer, Neuberger-Jesin Professor of International Conflict Resolution, visited Bangladesh for high-level meetings and a field visit to the Rohingya refugee camps along the border with Myanmar. 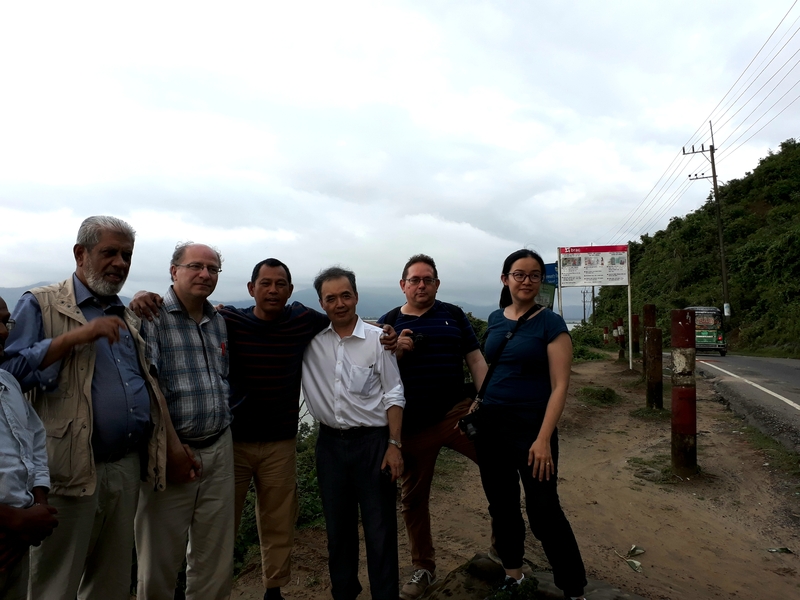 Prof Packer visited with a group of other international experts including two Rohingya lawyers. They met with the Speaker of Parliament, the Foreign Minister, the Minister of Cultural Affairs, the Chairman of the Human Rights Commission and various authorities, scholars, and journalists. 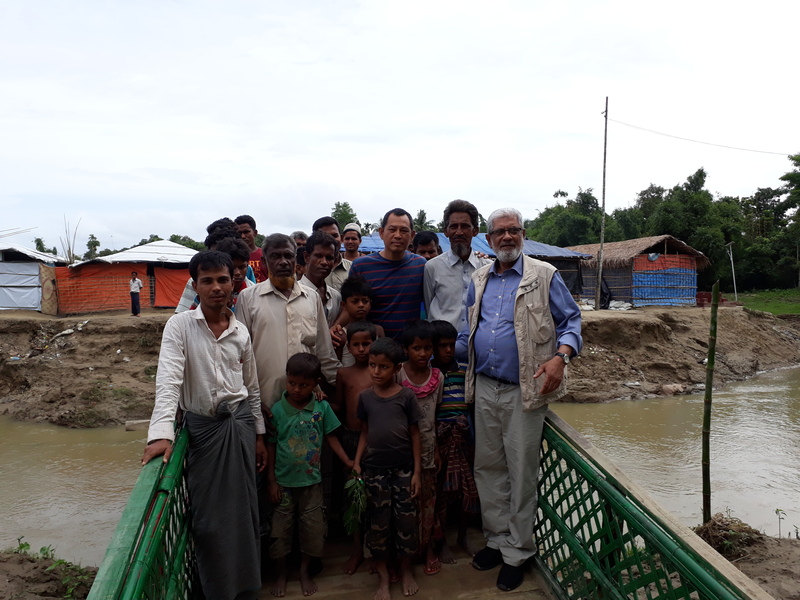 They spent two days in Cox’s Bazar during which they visited the camps and met with Rohingyas including community leaders and very recent arrivals. Prof Packer met with officials also in his capacity as Special Adviser to the World Refugee Council on the situation in Bangladesh and Myanmar. While the international humanitarian response has so far assisted the Bangladesh authorities to meet the minimum needs of the refugees, including badly needed nutrition, shelter and inoculations, their situation remains highly precarious with fragile shelters already succumbing to the Monsoon and at risk of being blown away, flooded out or collapsing amongst the dissipating mud hills. The outflow of refugees is continuing – with new arrivals in awful condition, both physically and mentally. There is no evidence that they will return home anytime soon; Myanmar has built an imposing fence along the border which is punctuated with armed guards every 50 to 100 metres. Almost 1 million impoverished refugees are in limbo, squeezed between threatening Myanmar armed forces and Bangladeshi authorities who are fearful of popular local reactions to the mass influx competing for livelihoods. The prospect for voluntary return, with all dignity and security, is bleak. A badly needed plan for protected return to a protected homeland is not yet on the horizon. Fears of regional instability are growing. Urgent diplomatic action is needed as the refugees approach one year since fleeing for their lives. Experts at Teknaf across the Naf River. On the footbridge to No Man's Land refugee encampment.